Mayday Missions is proud to support the Voorhis family during this difficult time. Please note that all fundraising efforts contained herein are being organized, coordinated, and/or managed by friends and family of Gerry Voorhis. 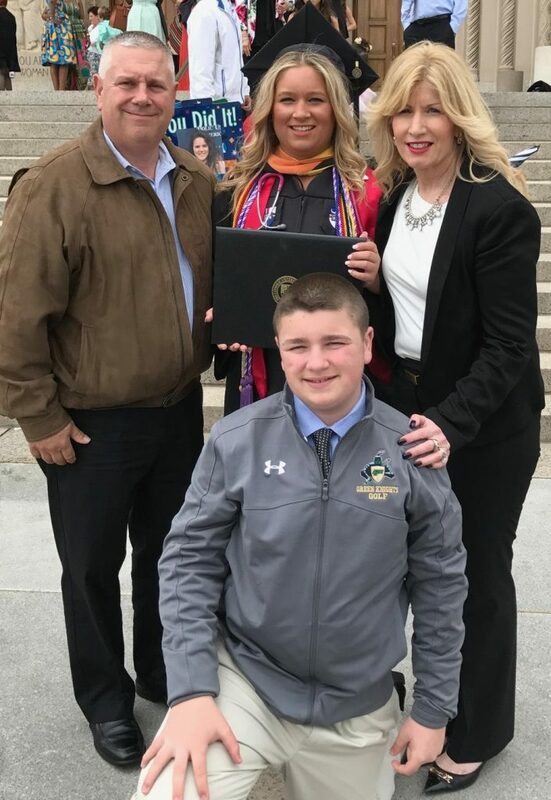 Gerry Voorhis is a 55-year-old wife and mother from Westwood, NJ, who has been diagnosed with Creutzfeldt-Jakobs Disease.Creutzfeldt-Jakobs Disease (CJD) is an extremely rare and fatal brain disorder. It affects one person in every one million per year and 90% of those diagnosed will succumb to the aggressive disease within a year of diagnosis. Unfortunately, Gerry is already experiencing progressive physical and cognitive impairment that require increasing needs for skilled care. Gerry is receiving hospice services, however her needs are continually increasing and costs for caregiving at home or in a facility are not covered by the family’s medical insurance nor by hospice. With this in mind, Gerry and her family wish for her to remain in her own home and are trying to make her as comfortable as possible. The effects of the disease require professional and skilled caregiving to keep her safe – physically and emotionally. At the same time, her husband must continue to work in order to maintain their home and provide for their family. Professional caregiving costs for just 12 hours per day are approximately $300. At these rates, caregiving expenses alone will cost the Voorhis family over $110,000 within one year. These numbers do not include medical or other related expenses. Gerry and her husband, Jim, were born and raised in the Pascack Valley community. They are married for 34 years and have two children, Nicole and Jimmy. 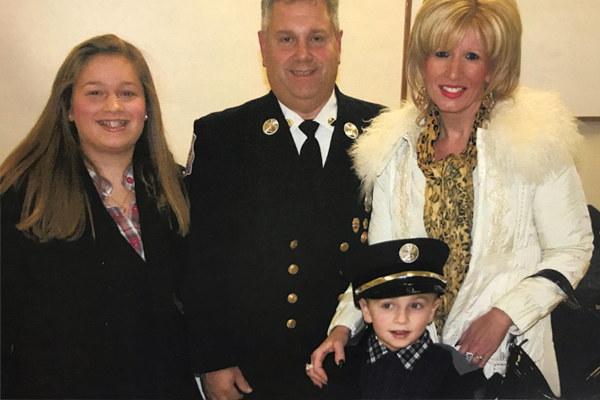 The Voorhis family has served their community for many years. Jim has been a member of the Westwood Volunteer Fire Department (WFD) for 39 years and served two terms as Chief. Jim’s father, Jake Voorhis, served the WFD from 1970 until he died in the line of duty on April 12, 1977. Gerry joined the WFD Ladies Auxiliary in 1984 and has served on many committees and in a variety of roles. She has been an avid fundraiser for the WFD Ladies Auxiliary as well as Assumption School in Emerson and Our Lady of Mercy School in Park Ridge. The Voorhis children still reside with their parents and are helping to care for their mother. Jimmy is following in his father’s footsteps as a Cadet with the WFD. Gerry is a generous woman and a caring friend to all those she meets. Now, in her time of need, family and friends are calling on the community to come together to support her. Hop on board our Meal Train! Food is essential to our being. It not only provides nourishment for our physical bodies, but also provides a great way to offer comfort to the mind, heart, spirit and soul. The Meal Train is a thoughtful and helpful manner in which to lend your support, and share your love with Gerry, Jim, Nicole and Jimmy. If you are interested in providing a meal for the Voorhis family, please click the link below to email Arlene and receive an invitation to the Meal Train. Clicking on the link at the bottom of the invitation will bring you to the site created for the Voorhis family, where you will find further information. Please accept our immense gratitude for caring and assistance. Mayday Missions is a duly authorized 501(c)(3) charitable organization. As a recognized charitable outfit, direct donations to Mayday Missions are tax deductible to the fullest extent of the law.